The workshop will take place at the Royal Society of Edinburgh (RSE), which is centrally located in Edinburgh, about 5 min walking from Edinburgh’s main train station (Waverley Station), and only about 3 min from Princess Street. Presentations will be held in the RSE’s Wolfson Lecture Theatre, catering and poster presentations are organised in the RSE’s Wellcome East and Wellcome West rooms. 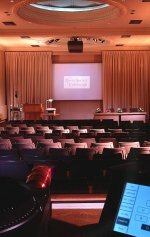 For a detailed description of the RSE’s conference facilities, please take a look at Conference centre page. Details how to reach the RSE can be found here. 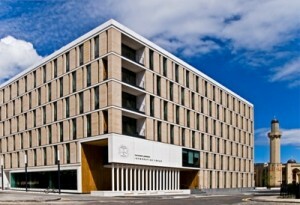 The tutorials and the hackathon are kindly hosted by The University of Edinburgh’s School of Informatics. The School can be found in the Informatics Forum, about 10-15min walking from Waverley Station. For details on the location of the Forum, please see here: http://www.ed.ac.uk/schools-departments/informatics/about/location. Edinburgh is a popular tourist destination and consequently has a large number and range of acccommodation options. SWAT4LS does not have any specific arrangements with any of the B&Bs, guest houses and hotels listed below, but provide this information simply for the convenience of SWAT4LS attendees. The usual sources, such as tripadvisor.co.uk, booking.com will provide extensive lists of available accommodation in Edinburgh. A site maintained by Edinburgh University of potential accommodation can be found here. A list of accommodation options in the area of The Informatics Forum, where the SWAT4LS tutorial and hackathon days are hosted, can be found here.